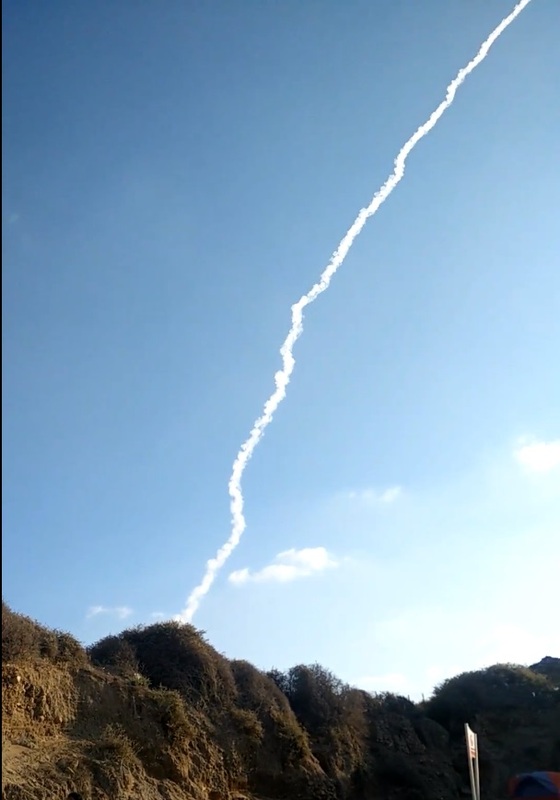 The Ofeq 11 satellite lifted off at approximately 14:30 UTC atop a Shavit-2 rocket blasting off from the Palmachim Airbase located on the Mediterranean Sea. According to Israeli press, the satellite successfully reached orbit, but its health could not immediately be confirmed. Apparently, mission controllers were in contact with the satellite but found it in an anomalous condition and began attempts to stabilize the spacecraft. The Ofeq 11 satellite reportedly inaugurates a new generation of imaging satellites, debuting a new, more-capable satellite platform and an enhanced imaging system collecting imagery at a ground resolution of 0.5 meters from the satellite’s 600-Kilometer orbit. Ofeq (Horizon) is a space-based reconnaissance program initiated by Israel in 1988 to deploy a range of instruments to orbit for different observation purposes. Newer satellites within the program are considered to be among the world’s most advanced space systems, however, details on their design and capabilities are not released to the public. The Ofeq satellites are operated by the Israeli Ministry of Defence and built by Israel Aerospace Industries and Elbit Systems. Their primary purpose is to collect data from territories relevant to Israel. Therefore, the satellites typically operate from equatorial orbits inclined 142 degrees covering Israel and surrounding territories. While that orbit prevents the satellites from collecting intelligence on a global scale, it does provide six daylight passes over the Middle East for the first one-and-a-half years of their missions, delivering rapid response imagery of targets of interest to the Israeli intelligence community. The number of favorable passes per day decreases with mission duration due to orbital mechanics, but the Ofeq satellites can still achieve more relevant passes over the area of interest than a polar orbiting spacecraft that would only have one or two daily passes with favorable look angles. The first two Ofeq satellites, launched in 1988 and ’90, served demonstration purposes of satellite subsystems including propulsion, communications and electrical systems to feed into the design of subsequent operational missions. Ofeq 3, launched in 1995, was the first operational reconnaissance satellite in the Ofeq series, equipped with an optical payload. Ofeq 4 failed to reach orbit in 1998 and Israel had to wait until 2002 when the Ofeq 5 was lifted into orbit and, according to reports, was able to collect ground imagery at a resolution better than two meters. 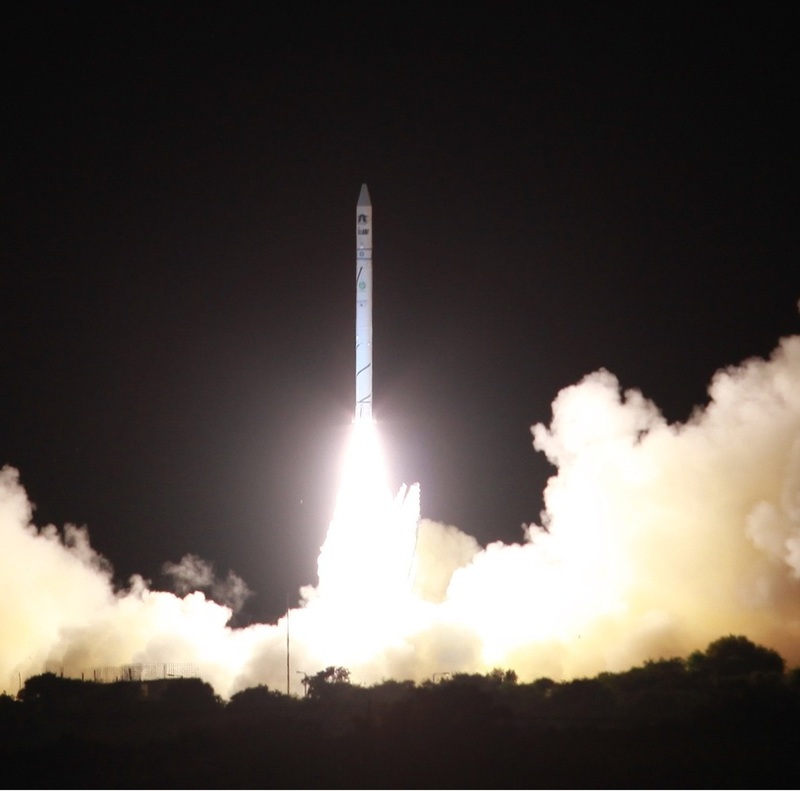 The $100 million Ofeq 6 satellite was lost in a launch failure in 2004, prompting Israel to wait for the inauguration of the Shavit-2 launch vehicle to continue Ofeq launches. 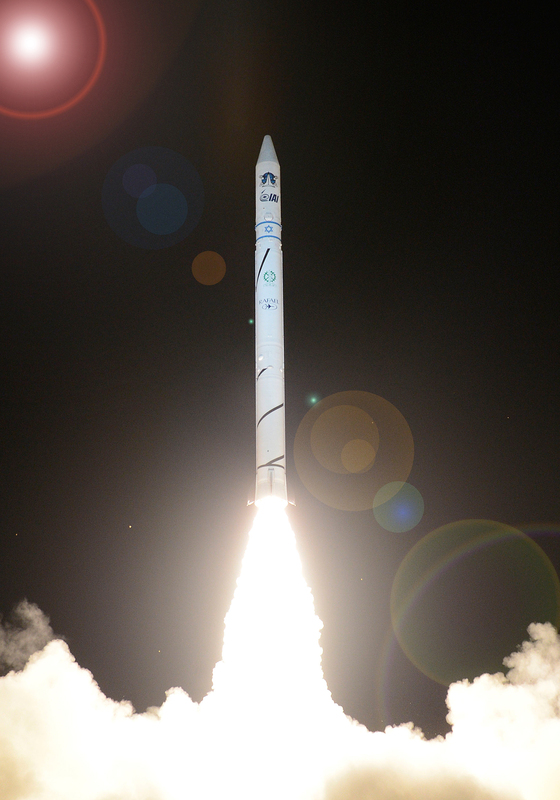 Ofeq 7 was delivered to orbit in the maiden flight of the improved Shavit-2 rocket in 2007. It was followed by the first non-Shavit launch in the program as Ofeq 8, also known as TecSAR, headed into orbit atop an Indian PSLV rocket in 2008. The Ofeq 8 mission was the first in the series to carry a Synthetic Aperture Radar antenna operating in the X-Band frequency to support day and night, all-weather imaging at a high resolution of under one meter. 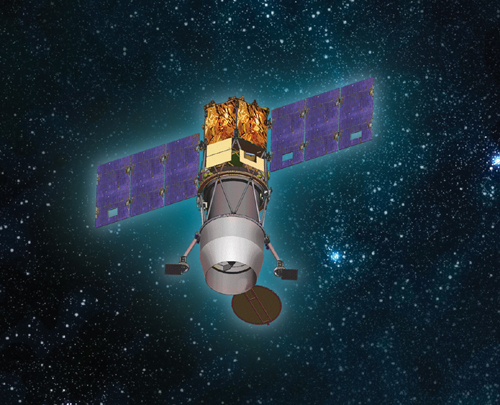 In 2010, the Ofeq 9 satellite was launched, equipped with an optical payload to ensure data continuity as the Ofeq spacecraft are built for a mission duration of about three years. The mission continued to improve space-based imaging capabilities and was reportedly capable of collecting imagery at a ground resolution of 0.7 meters. Ofeq 10, launched in 2014, again hosted a radar payload similar to Ofeq 8 to provide data continuity. Ofeq 11 marks the inauguration of a new generation of reconnaissance spacecraft with enhanced capabilities through the use of a new satellite platform and enhanced imaging subsystems. Known as OPSAT-3000, the three-axis stabilized satellite platform builds on previous experience with the smaller 2000 satellite bus that could only host compact imaging payloads, limiting ground resolution to around 0.7 meters. 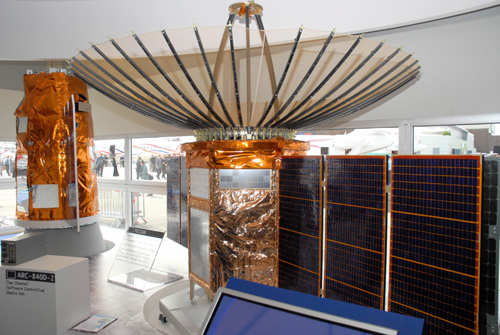 OPSAT-3000 was first presented in 2007 and is based on the bus used by the TecSAR spacecraft. IAI and the Israeli government have cleared OPSAT-3000 for international export and a contract was signed with the Italian Ministry of Defence for the first such satellite to be operated outside of Israel. OPTSAT-3000 – expected to launch on a Vega rocket in 2017 – is mostly identical to the Ofeq satellite launch on Tuesday. The new satellite platform hosts a Jupiter High-Resolution Imaging system that expands on the capabilities of the previous Neptune system by adding multispectral imaging capability and improving ground resolution. 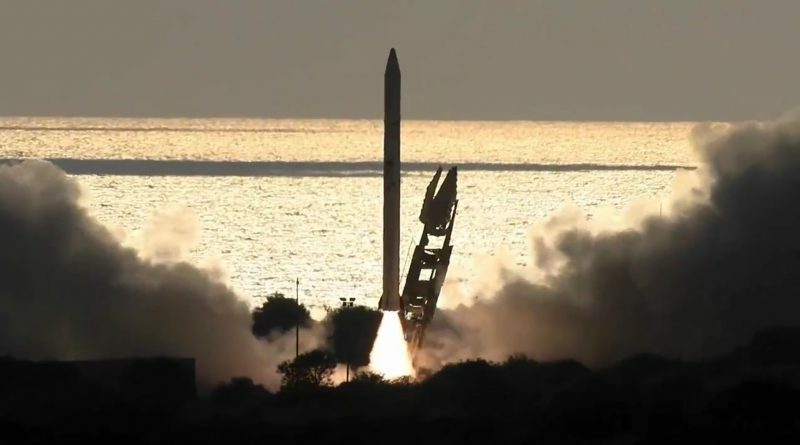 Tuesday’s launch was carried out by Israel’s Shavit-2 rocket comprised of three solid-fueled rocket stages and an optional liquid-fueled fourth stage for precise orbital insertion capability. Shavit originated in a collaboration of Israel and South Africa where, in the 1970s and 80s, the development of the RSA-3 long-range ballistic missile was underway. Shavit made its debut in 1988 when lifting the Ofeq 1 satellite to orbit. Due to its geographical location, Israel is forced to launch Shavit to the west across the Mediterranean Sea which requires the launcher to compensate for Earth’s rotation, consuming additional performance to reach the retrograde orbit. Launching to the west is the only option for Israel because of strained relations with countries located east that would be hit by launch vehicle debris. For obvious reasons, Israel wanted to avoid having its rocket stages recovered by foreign governments, leaving only the westward launch option. 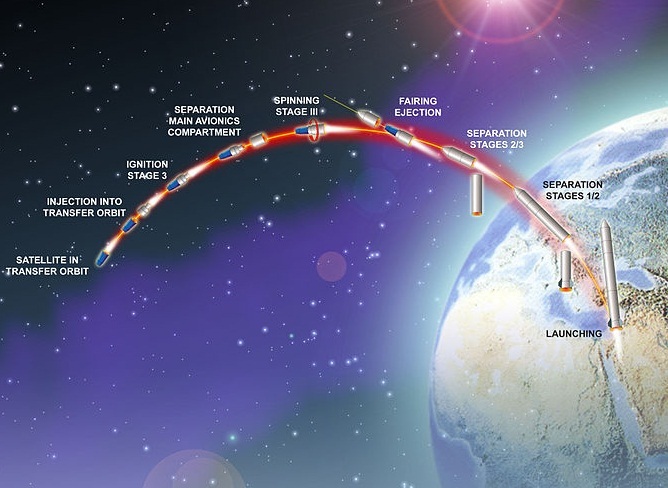 Polar or sun-synchronous orbits can not be accessed from Israel with the current launch vehicle. First known under the name Next, the Shavit-2 launcher uses an upgraded second stage that has the same structure and propulsion system as the first stage. Additionally, Shavit-2 can support a liquid-fueled fourth stage to reach a number of orbits and provide precise insertion capability. The Shavit-2 launcher stands approximately 21 meters tall, has a diameter of 2.3 meters and weighs 31,500 Kilograms at launch. Its first stage is between 7.3 and 7.8 meters tall with a diameter of 1.35 meters outfitted with stabilizing fins at its base that create a span of 2.3 meters. The stage uses an ATSM-13 propulsion system burning solid HTPB-based propellant to generate a liftoff thrust of 564 Kilonewtons (57,500 Kilogram-force) that increases to 774kN (78,900kgf) in vacuum conditions. The first stage has a dry mass of about 1,240 Kilograms and carries a total of 12,750 Kilograms of propellant that is consumed over the course of a 55-second burn. The spin-stabilized third stage of the launcher is an AUS-51 solid rocket motor that uses a titanium casing and a vacuum-optimized nozzle for an overall stage length of 2.1 meters and a diameter of 1.3 meters. AUS-51 has an empty mass of just under 200 Kilograms and holds 1,850 Kilograms of solid propellant. On average, the stage provides 60.4 Kilonewtons of thrust (6,160kgf) and burns for 91 seconds. Details on the optional fourth stage are unknown, but it is likely similar to the upper stage for a proposed Israeli-US launcher that only exists on the drawing board. If that is the case, the fourth stage is a small 240-Kilogram propulsion module using Hydrazine monopropellant and several thrusters to provide a thrust of 400 Newtons (41kgf) with re-ignition capability and a cumulative burn time of up to ten minutes. 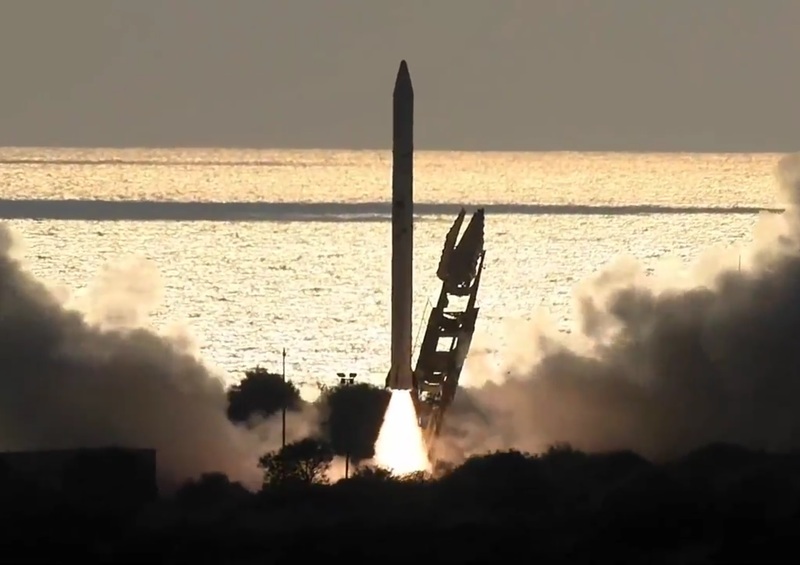 Shavit-2 made a total of four launches to date – all dedicated to the Ofeq program.